Fleur Montanaro is the Administrator for the International Prize for Arabic Fiction. She was born in Malta and grew up in Malta, Nigeria and London. She graduated with an MA in English Literature from Oxford University in 1991. Following which she worked for various charities involving young people in the UK and internationally. From 1997 to 2004 she worked with local NGOs in Mauritania, North Africa, as an accountant and administrator of a food security project in Aioun and then as Director of Studies at the Nouadhibou English Centre. After returning to the UK in 2004, she completed a BA in Arabic at the reputed SOAS and a Diploma in Public Service Interpreting (from the Institute of Linguists, of which she is an Associate Member). 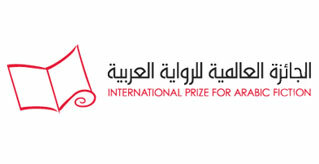 She then worked for a year as a freelance interpreter and translator before beginning her current role as Administrator for the International Prize for Arabic Fiction. In her spare time, she enjoys literary translation and being an advocate for international Childrens’ Charity Compassion.